Have you ever had one of those day where you just want to get out-of-town? My husband and I had one when his parents came to visit this summer. 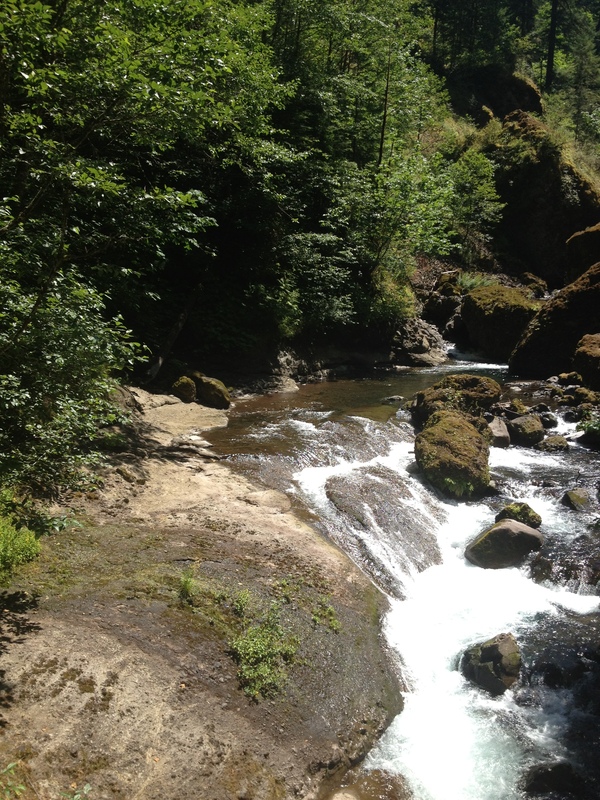 It wasn’t that there was a shortage of things to do in Portland – we had taken them to a number of funky restaurants, rowdy Timbers Games and even a Willamette River Jet Boat Tour – but we thought it might be nice to show them something outside the city limits. The Columbia River Gorge was an obvious choice. 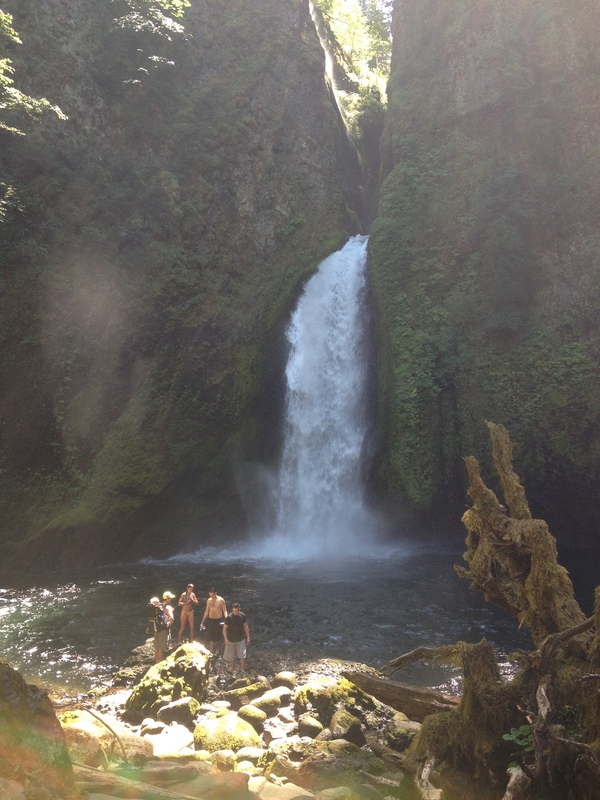 The scenic 80 mile canyon is filled with stunning views and dozens of trails leading to beautiful, hidden waterfalls. 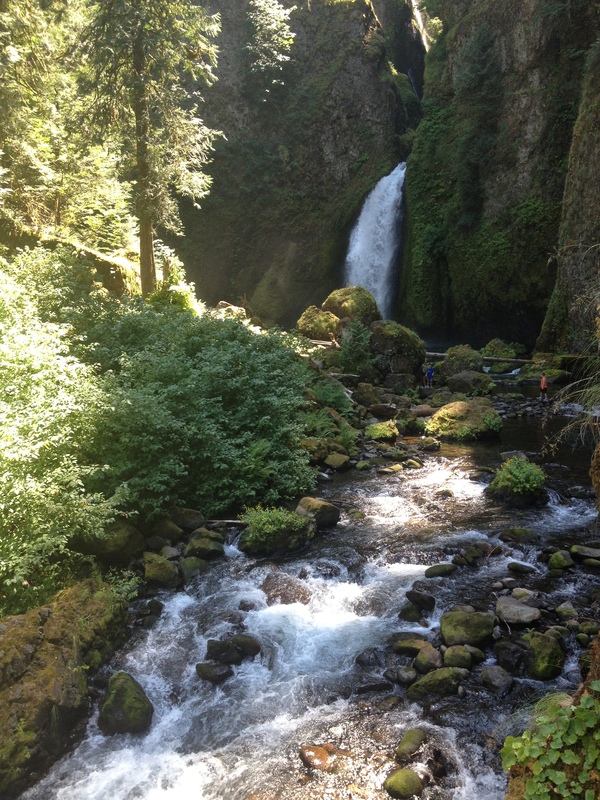 The most well-known waterfall in the gorge is Multnomah Falls but it was a Saturday and we knew the trail leading to the top of the 600 foot waterfall would be packed. 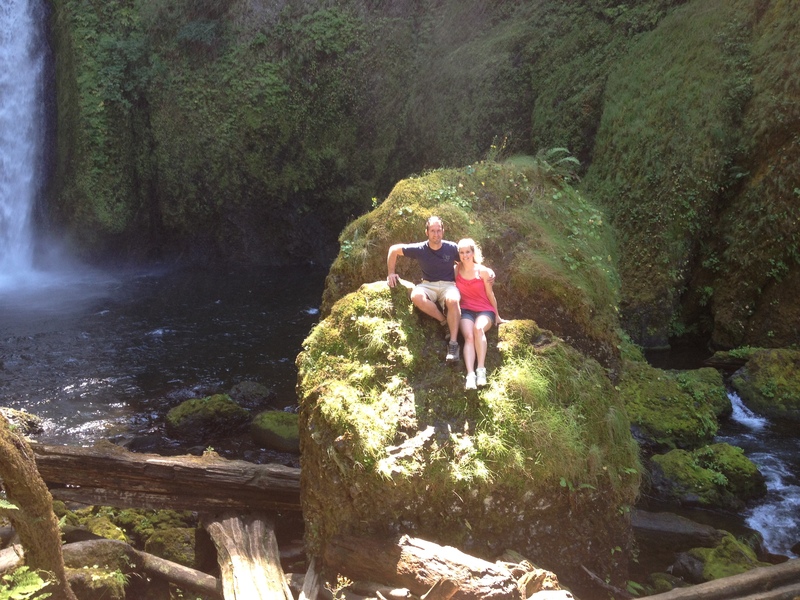 So we did a little research and chose an easy, less-traveled hike to Wahclella Falls. The Wahclella Falls trail head is located just outside Bonneville, OR (exit 40 off 1-84), about forty miles outside Portland. A northwest forest pass is required to park in the small lot at the base of the trail but passes are available on site for $5 (a small price to pay for the beautiful view). 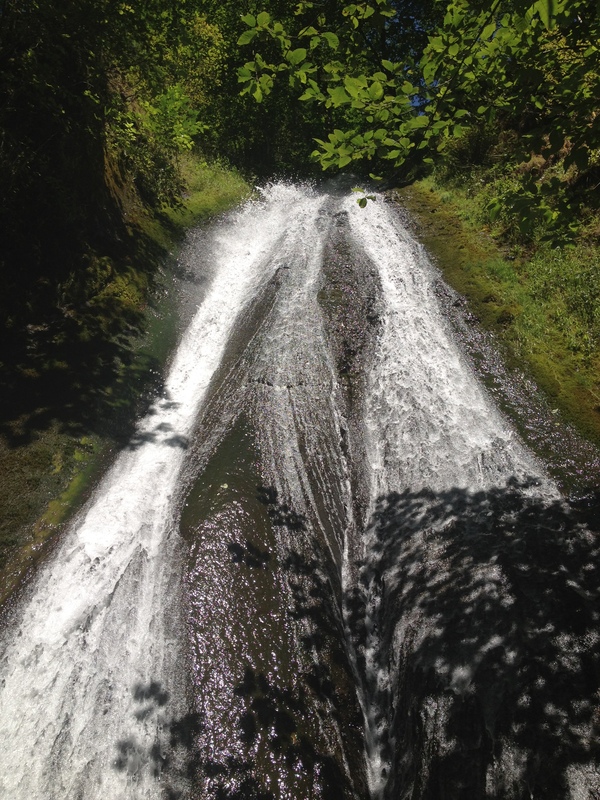 The two-mile trail features several foot bridges over Tanner Creek – one of which passes a waterfall called Munra Falls. The falls is so close to the bridge you can literally reach out and touch the water with your hand or feel the cool mist when you stand in front of it. When you reach a fork in the trail, take the lower trail to see a more wide open view of the falls. We were stunned when we caught our first glimpse of the 65 foot waterfall cascading down from a small break in the canyon. Is there really anything better than reaching the end of your hike and being rewarded with a gorgeous view? I am so happy that my in-laws enjoyed this hike as much as we did. 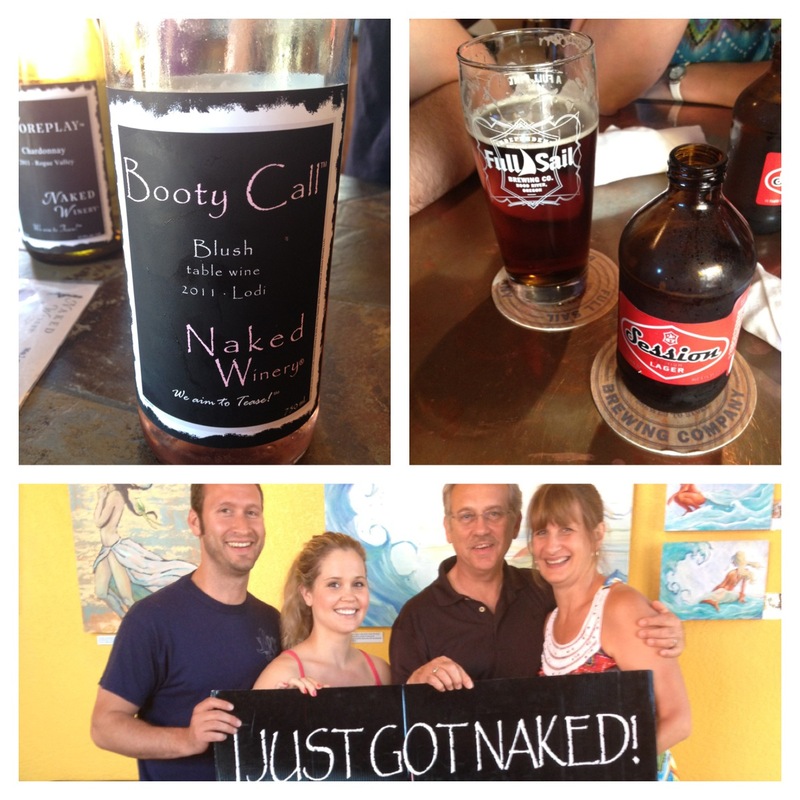 We ended the day with a quick wine and brew tour in Hood River at Naked Winery and Full Sail Brewery before heading back to Portland. If you’re looking for a Portland Day Trip or a beautiful place to show your visitors, this is it!